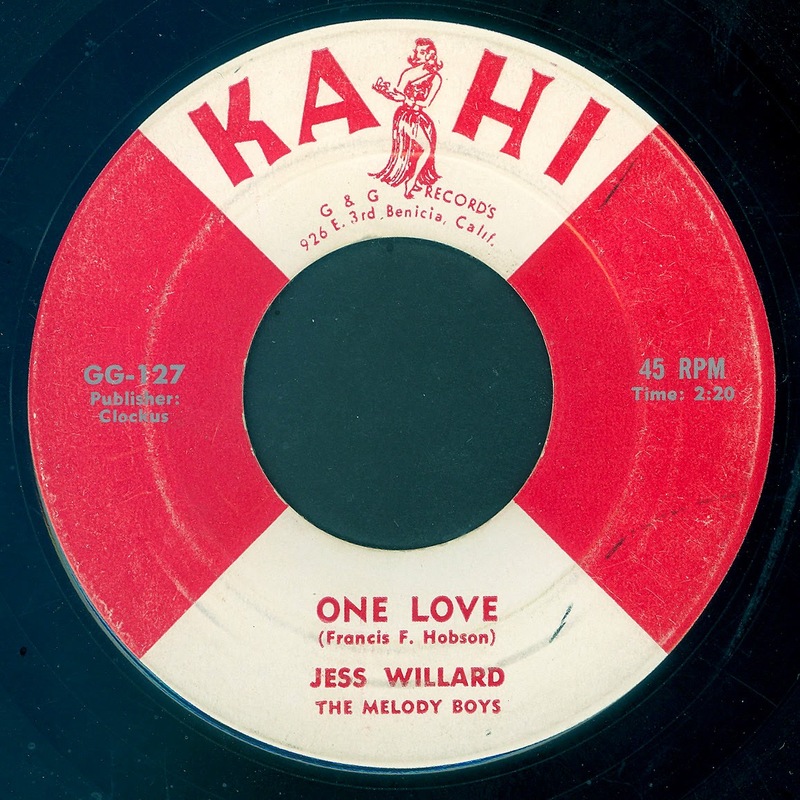 During its relatively short life the Cincinnati based EXCELLENT label put out a fairly decent selection of Country, Bluegrass, and Sacred records. 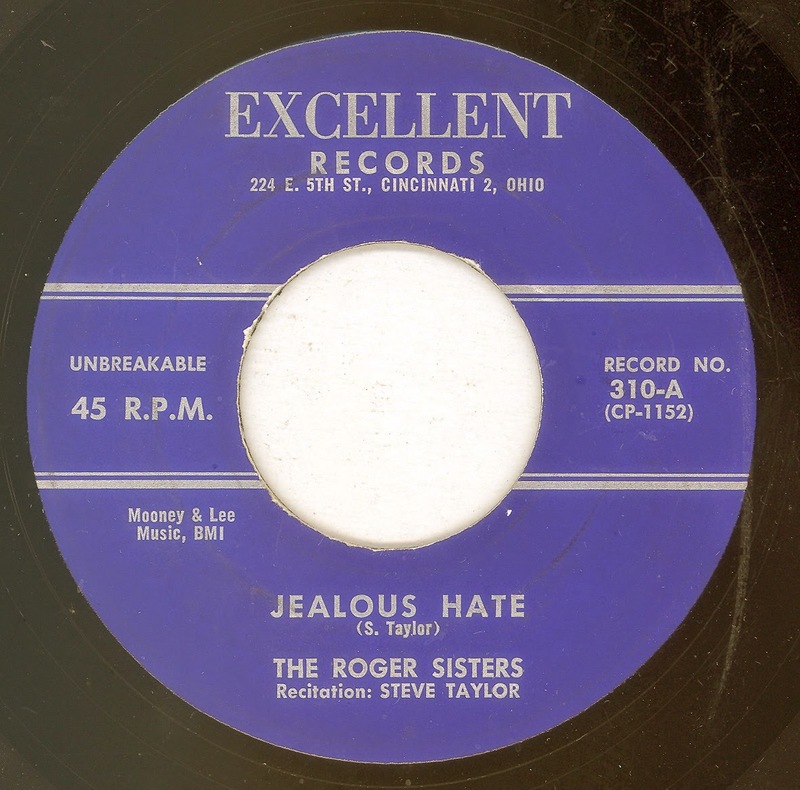 One of the harder ones to track down is the Roger Sisters offering on the label. It's not a hot bopper, nor is it a rockabilly effort, it's just a pleasant female duet reminiscent of The Davis Sisters. 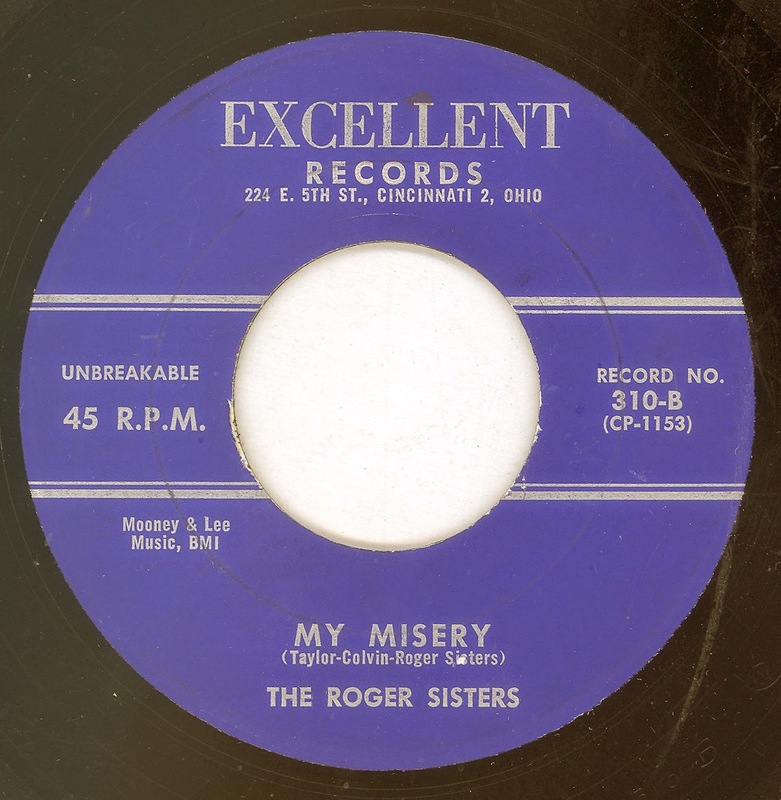 In fact if you should ever find yourself at a loose end one day, why not try to count the number Davis Sisters' song titles contained in "My Misery"! The BEAR FAMILY CD "Honky Tonk Hardwood Floor" (BCD 16256 AH) contains Jess Willard's complete CAPITOL collection, including the unissued recordings, plus both sides of his sole offering on the EKKO label. 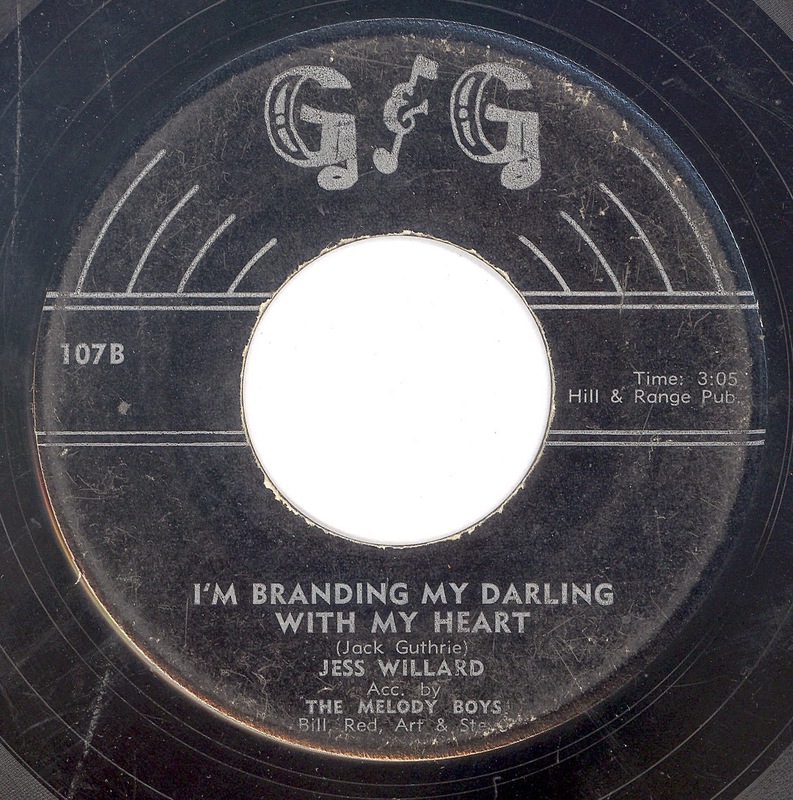 This was not the sum total of Willard's recorded output, he also had releases on G&G, and SUNDOWN. Although I have not as yet managed to track down a copy of his SUNDOWN record,. 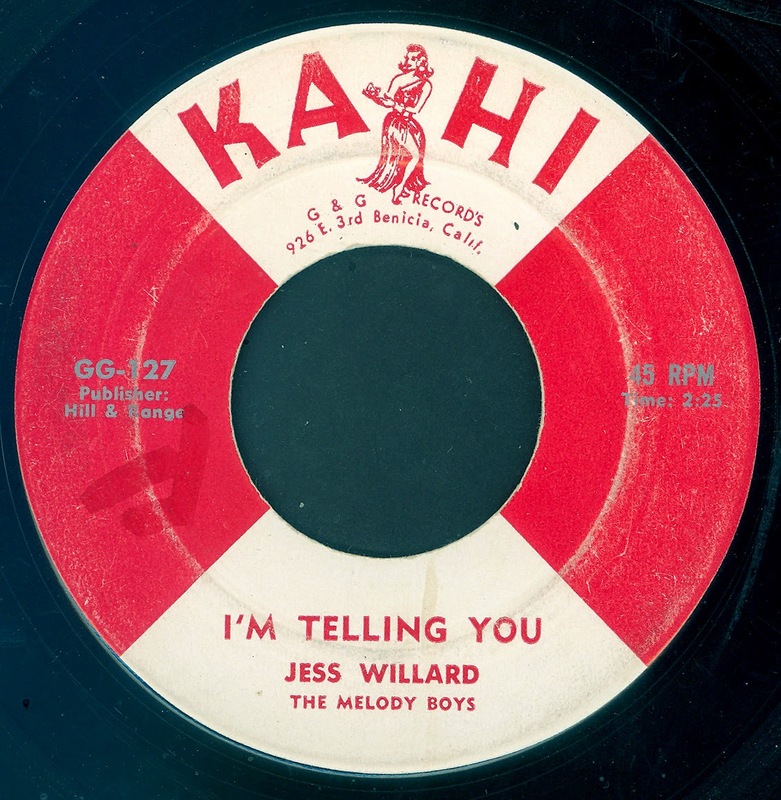 I was under the impression that he had just the one release on G&G and that was when the label had adopted the KA-HI name, but there were in fact at least two records on the label by Willard. 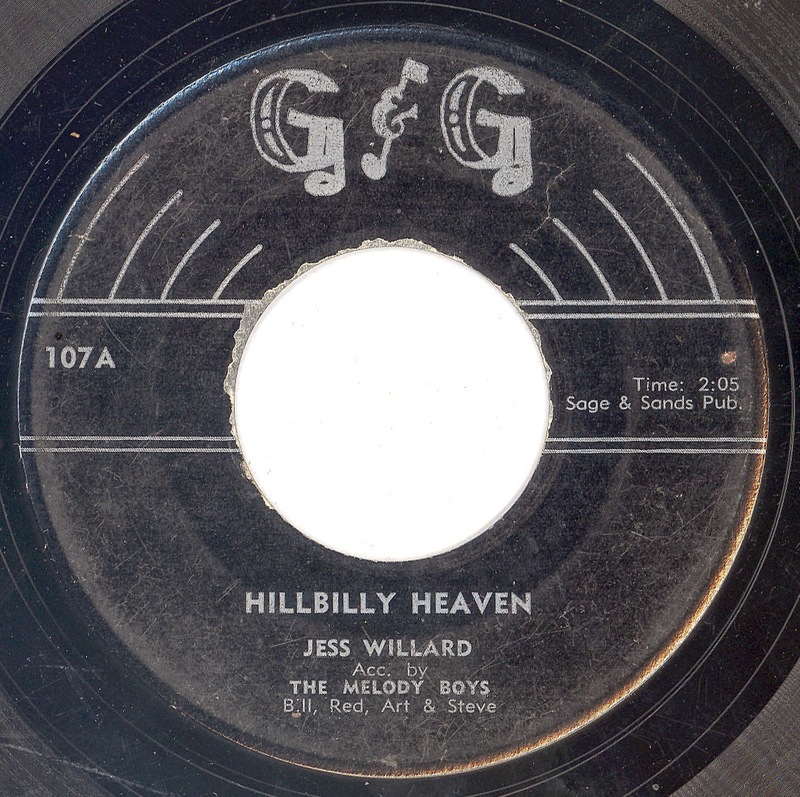 I am indebted to Joe Watson for drawing my attention to what appears to be his first effort for the label, a subtle reworking of "Hillbilly Heaven" in which his old buddy Jack Guthrie features centre stage. Does anyone have any idea who Bill, Red, Art and Steve, collectively known as The Melody Boys, were?